Return on investment (ROI) is still a big question in social media. Many professionals have come to terms with the fact that it can be difficult to quantify, yet they understand the need to be active to compete. How do you know if you are truly generating leads via social media? Part of the problem is that social media use is often passive — meaning that users are sharing ideas, news, content and deals, but not performing outreach activities. Are you using the tools available to you to seek out specific leads, build relationships and earn business? It’s OK if you are thinking, “That would be great, but how do I do that without appearing a stalker?” That is a common concern. Here is one tactic to map out and set up for generation of leads using existing relationships. This particular event may not happen a lot, and it may not always happen in your region. But if it does, the volume could be huge, so take the opportunity when it exists and be the one to implement! Set up a Google Alert for terms like “merger,” “headquarters relocation,” “corporate relocation,” etc. This facilitates such notifications coming to your inbox. Why is this important? Well, what does a headline like this mean to you? LinkedIn has a powerful search functionality that goes grandly underutilized. You can search for any company, which generally leads to a company page listing employees on LinkedIn who work there. It also shows how closely connected you are. This is where you alleviate the “stalker fear.” It is highly likely you will find several employees within two degrees. As you can see in this result, there are 81 employees within two degrees of me. This is important because you can see who you are connected through. Let your first-degree connection know that you would be very grateful for an introduction to anyone they know who may be in need due to the merger and subsequent relocation of the business. Did you know you can search for people and friends of people by employer? If someone enters that information into Facebook, it may be accessible to you. Now, I always advise a relationship-building approach. 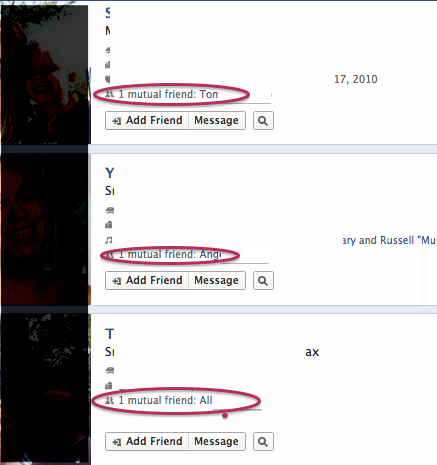 Please do not send a friend request, or attempt to message these people immediately! Use your existing relationships to request and obtain a warm referral. Facebook will tell you who your in-common friend is. Send that person a message letting him know you are looking to help people impacted by the recent merger to buy or sell their home, and if he would kindly make an introduction with a testimonial for you. This is a great way to set some new goals for yourself, and perhaps tread into new ways of building leads through social media. Create new relationships and generate leads in a targeted fashion.